As usual I made up a title in my mind for my post and was thinking about a start. Suddenly everything went blank and all I can think about is his works, this made me to write a few words about him and his way of writing. To start, he is my favorite author and the one who inspired me the most to write on my own. It’s not that he tells to write, it’s his language that makes me feel that I can write as beautifully as he does. Though it’s not possible to even think half as beautiful as he does, I do try my best. The language he uses is so natural and simple; it’s this simplicity in his words that deeply touches the readers and gave him the nick name The writer of common man. He is a man with a strong character and so much life experience, and its essence can be seen in all his works, a writer who really knew the might of his pen. He possessed the most wonderful ability to represent the complexity and hardships of life in a simple and humorous way, thus puts the readers in a state of enigma of tear, laughter and thoughts. The only other person that I know who possessed the same ability is the great Charley Chaplin. 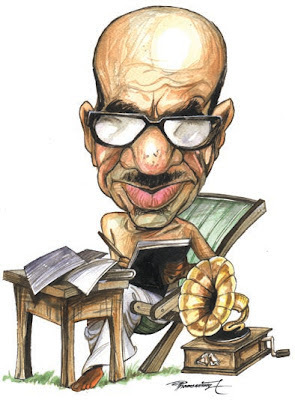 Vaikom Muhammad Basheer, that’s his name, most of you haven't heard of him, it’s because he wrote only in Malayalam (my mother tongue). Though translations of his works are made in many languages including English, I am so sorry to say my friends if you want to read the works of this genius then you should learn to read and understand Malayalam, it’s because how much good the translation be, it won’t be half as goods as the Sultan's original works. 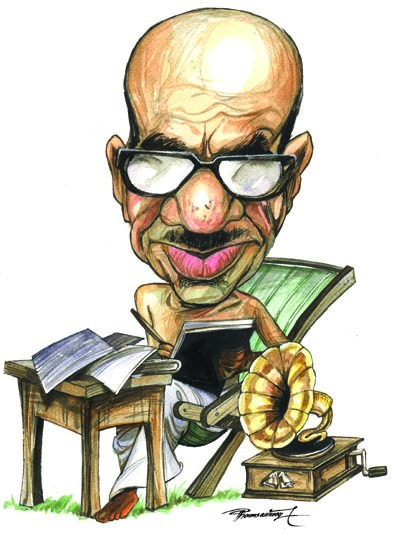 If you do know how to read Malayalam then go to a library get any of his books and start reading, you will be amazed by the beauty of Malayalam. Very good post Rahul. I do agree with you. He had an incredible ability to express his thoughts in a sarcastic way. May his soul rest in peace.